I have never had to look up the word fun in the dictionary, but if I did I am certain that right after the definition: enjoyment, amusement, or lighthearted pleasure I would find Peggy Anne. To be fair, I believe she would say the actual order is: Peggy Anne, enjoyment, amusement, or lighthearted pleasure. Upon further examination of the word fun, and in terms of adventures with Peggy Anne, FUN may be an understatement. 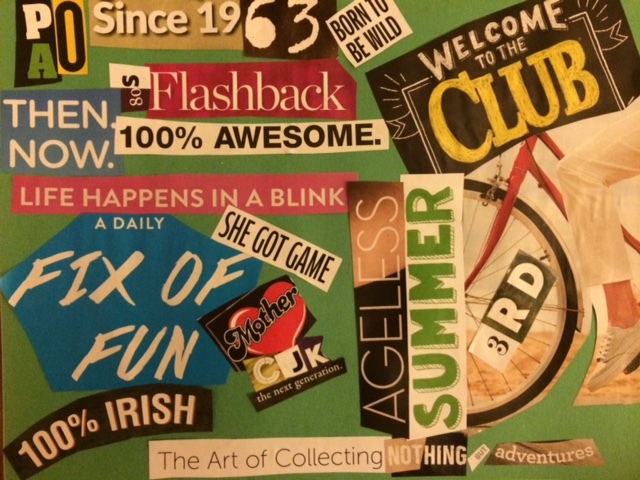 During the summer between our freshmen and sophomore year of college, I made this little collage for the door of our dorm room. I found it last summer when I went into the crawl space of our house. It was quite a long summer back in 1982, because once you have been away at college living at home again was kind of a bummer. I had plenty of time to kill in between my shifts at the grocery store where I was a cashier at the Prudential Center in the heart of Boston. Today is Peggy Anne’s thirty-ninth “50-somethingth” birthday. 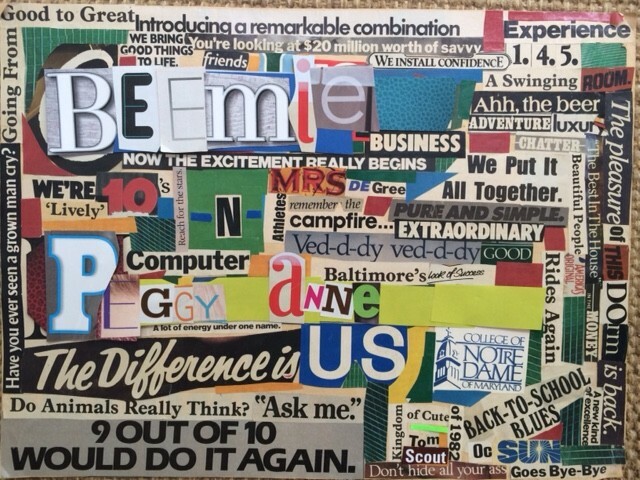 To honor the memory of our almost 35 years of friendship I created another collage…I had more time back in those days so the cut and paste of today is not as elaborate, but the sentiment is the same. 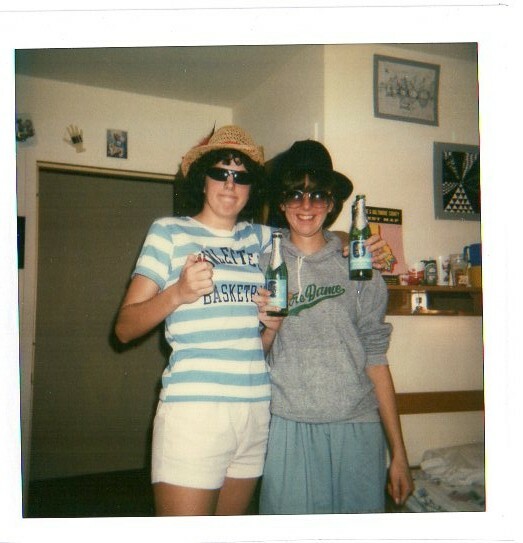 Our freshmen dorm room…JPII above the door, the drinking age in Maryland was 18 back then…I can’t explain the hats and sunglasses other than to state “youth, frivolity, and beverage.” I didn’t even like beer. 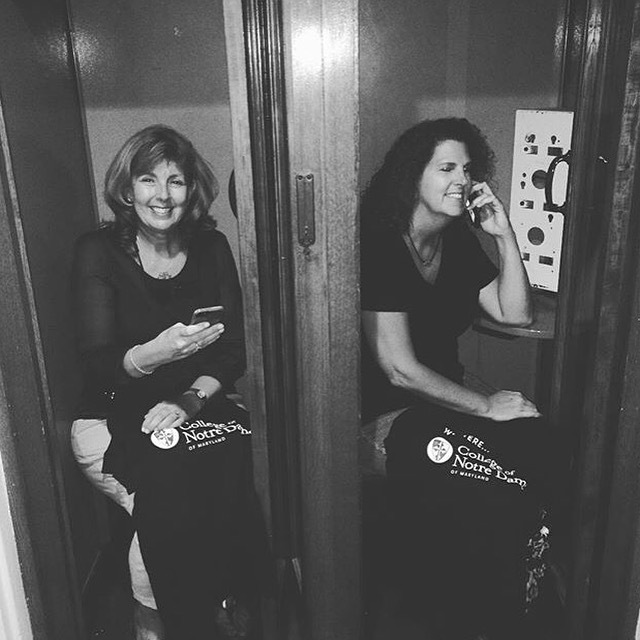 The old dorm phone booth…many a phone call from parents dodged at this booth…much like the confessional, I feel better now that I have that off my chest. For more about Peggy Anne…read the Who’s Who page. My nephew’s wife just started a blog…if possible give her a read. She is a great wife, mom, and she recognizes how lucky she is to have the Greatest Aunt by marriage …me! Ha-ha…first wheel…I will let you dream! Have a fabulous day with your boys! Ha-Ha…you know us all too well. Hope you are doing well…I keep you in my thoughts and prayers. 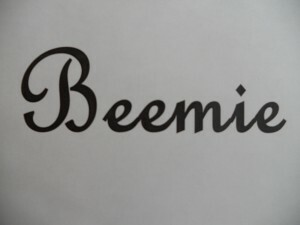 What I sweet friendship! I love the photo booth picture.